MOM’S BIGGEST FAN—Sister Maeve Nativitas, S.V., holds young Sena Love, as her mother, Brhane, speaks during a Feb. 18 press conference in which Cardinal Dolan and others confirmed the archdiocese’s commitment to helping pregnant mothers in need. CARING TEAM—Joining Cardinal Dolan at the Feb. 18 press conference reaffirming the archdiocese’s commitment and support for pregnant women and their unborn children are, from left, Dr. Anne Nolte, M.D., co-founder of the Gianna Center for Women’s Health and Fertility in Manhattan; Mother Agnes Mary Donovan, S.V., superior general of the Sisters of Life; Dolores Ortiz, assistant executive director of Catholic Guardian Services; and Christopher Bell, president of Good Counsel, which runs four homes in the Archdiocese of New York for single pregnant women and their children. Cardinal Dolan, backed by clergy, religious and lay professionals, reaffirmed the archdiocese’s long-standing commitment to stand with all pregnant women who seek its assistance. “I renew and make my own this unwavering commitment of my predecessors: Any pregnant woman can come to this Archdiocese of New York, to its parishes and facilities, and we will do all in our power to assist you, to welcome you, so that you never have to feel that you have no alternative except an abortion,” the cardinal said. Cardinal Dolan was speaking at a morning press conference in Manhattan on Presidents’ Day, Feb. 18. His promise reiterated the commitment first made by Cardinal Terence Cooke, and then confirmed by Cardinal John O’Connor in his landmark 1984 address, “Human Rights, Human Lives. “I can assure every woman facing an unplanned pregnancy that the Archdiocese of New York will give you free, confidential help of highest quality…It makes no difference if you are Jewish, Protestant, Catholic, Orthodox, Muslim, of any other religion or no religion at all,” Cardinal O’Connor said then. Cardinal Dolan’s pledge came less than a month after the Reproductive Health Act (RHA) was passed by the state Legislature and signed into law by Gov. Cuomo Jan. 22, the 46th anniversary of the Supreme Court’s Roe v. Wade decision that legalized abortion across the United States. The new New York law eliminates restrictions on late-term abortions, empowers non-doctors to perform abortions and removes protections against unwanted or coerced abortions. Responding to a reporter’s question, the cardinal said the RHA law “had a part to do” with the archdiocese’s decision to get the word out about its programs to support and assist pregnant women and their unborn children. 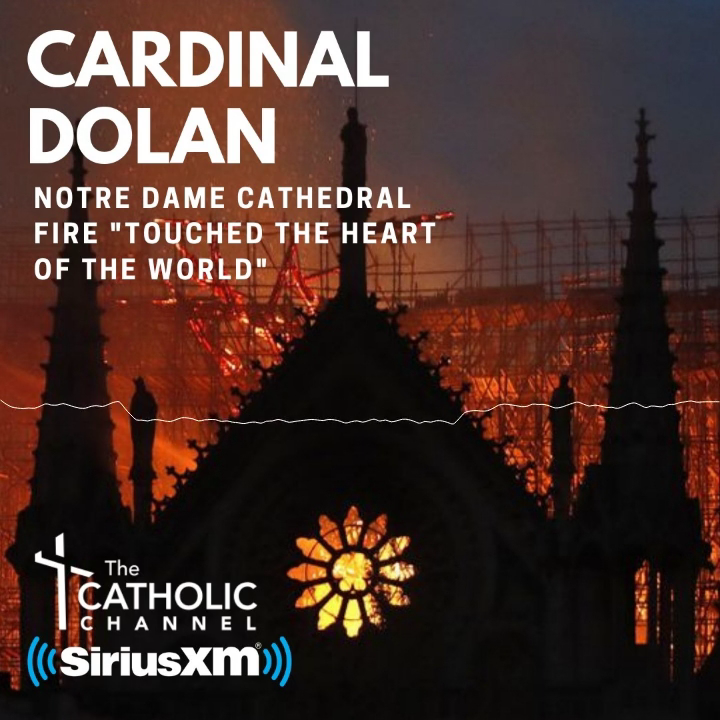 “Every once in a while, we need to trumpet and put a spotlight on the good work we do,” Cardinal Dolan said. The other speakers joining Cardinal Dolan did their best to dispel that notion. They included Mother Agnes Mary Donovan, S.V., superior general of the Sisters of Life; Msgr. Kevin Sullivan, executive director of archdiocesan Catholic Charities; Dr. Anne Nolte, M.D., co-founder of the Gianna Center for Women’s Health and Fertility in Manhattan and chairwoman of the archdiocese’s pro-life commission; Christopher Bell, executive director of Good Counsel, which includes four homes in the archdiocese for single pregnant women and their children; and representatives of ArchCare and Catholic Guardian Services. Mother Agnes said the Sisters of Life and their volunteers “stand in radical solidarity” with women during unexpected or difficult pregnancies and together they “find a pathway through fear.” The Sisters of Life have served more than 9,000 pregnant women since their founding by Cardinal O’Connor in 1991, Mother Agnes said. She encouraged pregnant women in need to call the Sisters of Life at 877-777-1277 or visit their website at visitationcenterus.org. Brhane, a woman who the Sisters of Life have assisted, was present along with her young daughter Sena, whose vitality and joy captivated everyone in the room. The Sisters of Life “helped me to find a home for me and my baby,” Brhane said. “They were with me the whole way and are still with me. They helped me with my immigration, to find a job, to find babysitting, they helped me with everything. Bell, speaking to CNY afterward, said the press conference was important because what can appear like an old story is actually a new reality for any young woman who finds herself pregnant and alone. In many cases, she is without the support of the father of her unborn child, her family or even a single friend, he said. Bell said it’s “heartbreaking” to look into the eyes of a young woman who has nowhere else to turn. Information: www.goodcounselhomes.org or (201) 795-0637.